TVB has been focusing on elevating Raymond Lam Fung to be the next Number One Brother. Although earlier plastic surgery rumors surrounded Raymond, this did not lessen his popularity. Some sharp-eyed netizens pointed out that TVB veteran actor, Lau Dan’s son, Hawick Lau Hoi Wai, appears to look like Raymond’s twin brother. 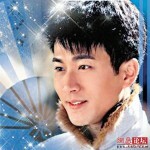 Thirty-five year-old Hawick Lau entered TVB in 1995 and joined his father, Lau Dan, in the cast of Kindred Spirit <真情>. His career in Hong Kong was at a standstill before he headed to China three years ago and found success. Hawick has been filming series non-stop in China with a stable career. Missing from Hong Kong for several years, Hawick grew increasingly handsome. Some netizens posted photos of Hawick from ten years ago, pointing out changes in his facial features not previously observed. Currently, Hawick bears a mixed resemblance between Raymond Lam and Huang Xiao Ming. Hawick’s face shape has changed over the years and his nose bridge appears to be straighter. 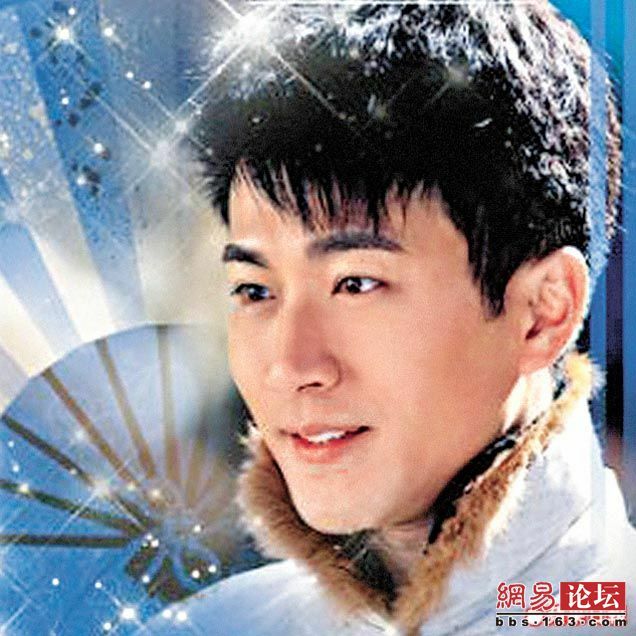 At first glance, he does have a strong resemblance to Raymond Lam, who was plagued by plastic surgery rumors. Praised by fans for his handsomeness, Hawick said, “I am unafraid of plastic surgery rumors. A person’s face changes with age, which is true for both men and women.” (What is your secret in becoming more handsome?) “When a person is happy and has confidence, that reflects in his appearance.” He explained that his face shape changed due to maturity and loss of baby fat. Hawick Lau can be seen opposite Lau Shuet Wah and Ma Ya Shu (Nicky Ng Kei Lung’s ex-wife) in Who Knows a Woman’s Heart <誰知女人心>, which is currently being broadcast in China . He shares a romance with Ma Ya Shu in the series. 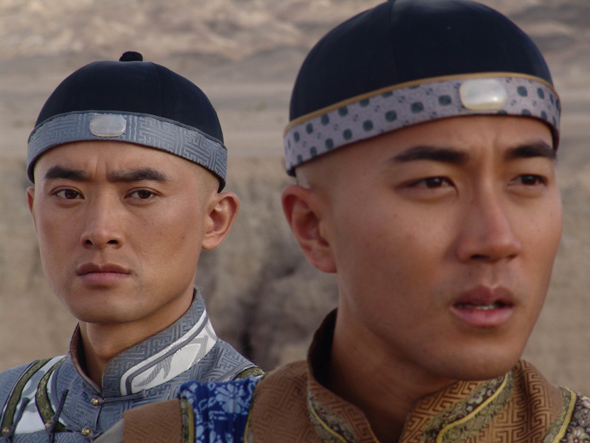 Jayne: From certain angles, Hawick Lau does look a lot like Raymond Lam. They share similar face proportions, nose shape, height, and body build. Hawick has gotten very muscular and does look a lot hotter than in the mid 1990s. Although Hawick denied getting any plastic surgery done, I did notice that his eyes got a lot deeper than how they looked before. I do believe he had his existing double eyelids deepened to create a more intense look. The slimmer face shape could be loss of baby fat. Overall, I do think Hawick is much hotter than before! 23 comments to Hawick Lau a Double Vision of Raymond Lam? Omg they really look alike at some angles. lol Hawick also said Ray is so hot. Strangely, I don’t think they look alike but I do think they are both good-looking. I don’t think Hawick got much, if anything done. It’s definitely true that most actors do look a little plain when they enter the industry. While Ray probably did get his nose done, I think he probably “gained” the most from the loss of his baby-fat too. Haha, so funny. Cute papa. I think they only got a good picture that made them look similar. I don’t think they look alike. I also don’t think Hawick has anything done. Eyes will change when one got older. My eyes are more deep set now then when I was younger. Chin, eyes and nose looks different. But he has always looked youthful so that is a plus point. And I think he’s taller than Raymond but not a better actor. Not sure now since haven’t see him in years. ^ Since the article said he’s famous in China now he might have improved. Normally people who go to China come back with improved acting because China production is not rushed unlike TVB and let you learn more during the process. Agree with Vivien. HK actors who went to China to film usually came back with improved acting. I’ve noticed this too. Probably but not necessarily. They act differently although yes, China actors are mostly classically trained unlike HK actors. But HK actors’s voices are mostly dubbed, and I can’t decide if it is good or bad acting without the voice. I would not think to even dub the worst voice. But again all Chinese productions don’t seem to favour on site voice recording. It gives an echo-ish feeling and kinda like a lullaby, lulls be to sleep. Anyway Hawick was never big or even remotely big in HK so it was wise he goes to China. HK is too saturated. That being said Hawick wasn’t a bad actor for a start, competent but I believe he wasn’t well liked in HK? wow..I now realised the leading man in 凤穿牡丹 is Hawick. I always wonder who is that handsome man in that show. I seldom watch China drama serials but this show is nice. I don’t think Hawick and Raymond look alike. Only they have the same type of look..well defined mascular jaw,deep set eyes, sharp nose bridge etc..Louis Koo and Kevin Cheng have also the same type of look..
Actually Hawick was always very handsome when he first entered the business but I think now with his maturity, he is more handsome. Glad that he found success in China. And I don’t think he looks like Raymond either. 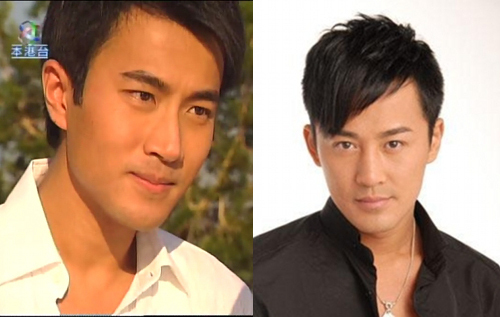 only fools would think they look alike..and yes hawick acts better than raymond lam…and chooses better dramas to film. See Harwick in Relentless Justice from ATV he looks really good, so is Patrick Tam, if you are into him as well. Login or Register before you can reply to T.L. Lau Hoi Wai is so much better than the other thing. Loi Hoi Wai is one of the most Hung actor in China now so that he doesn’t need to come back to Hongkong for any sake . He , Fong Siu Fung are doing very good in the larger market . They even don’t have any similar point in face. Hawick is now looking hotter than Raymond! I don’t think they look alike either, Hawick is more built and has a greater cheekbone feature. Hawick’s response on the comments about his look (the changes and him looking like Raymond Lam). Lau Hoi Wai far far cuter ! how come compare him to Lam Fung? I think Hawick look and is a better actor then Raymond Lam, it is a good thing he went to China, because really TVB would never or probably will take them a life time to promote Hawick to shine, for example Wayne Lai! Still Wayne needs to get to china to dig for some of that GOLD!